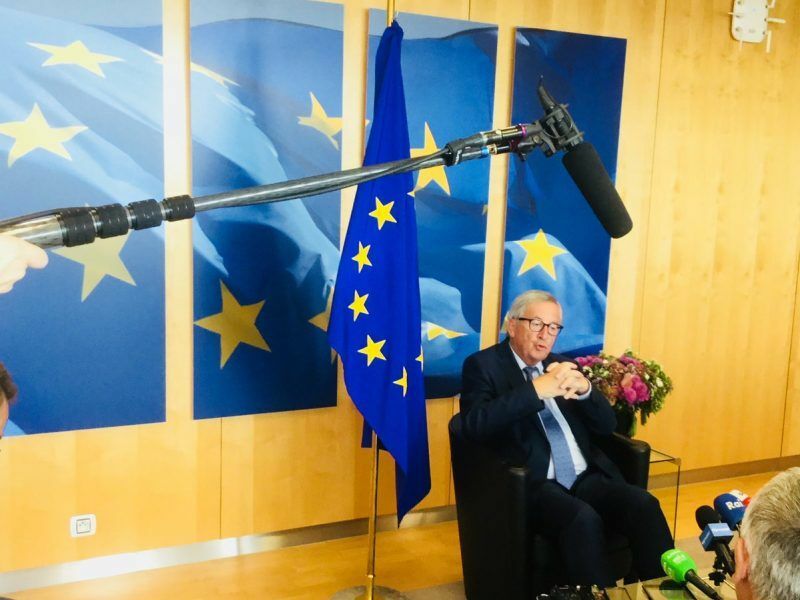 “As time passes by, I am more convinced that the draft budget law is beautiful,” he told reporters during his arrival at the EU Council summit on Thursday (18 October). The budget plan was very well-prepared according to Conte, who expressed no willingness to change it. He said in a press conference that Italy’s deviation from recommendations adopted by the Council under the Stability and Growth Pact “is not that big”, while the Commission deemed it “obviously significant” in a letter delivered in person to Economy Minister Giovanni Tria by EU Commissioner Pierre Moscovici in Rome. “This is not the budgetary plan that the European Commission expected,” the prime minister said, adding that it is understandable to have this kind of reaction from the other member states. The deviation, which points to a “particularly serious non-compliance” with the fiscal rules according to the Commission, is needed to aim for more growth and investments, Conte stressed. 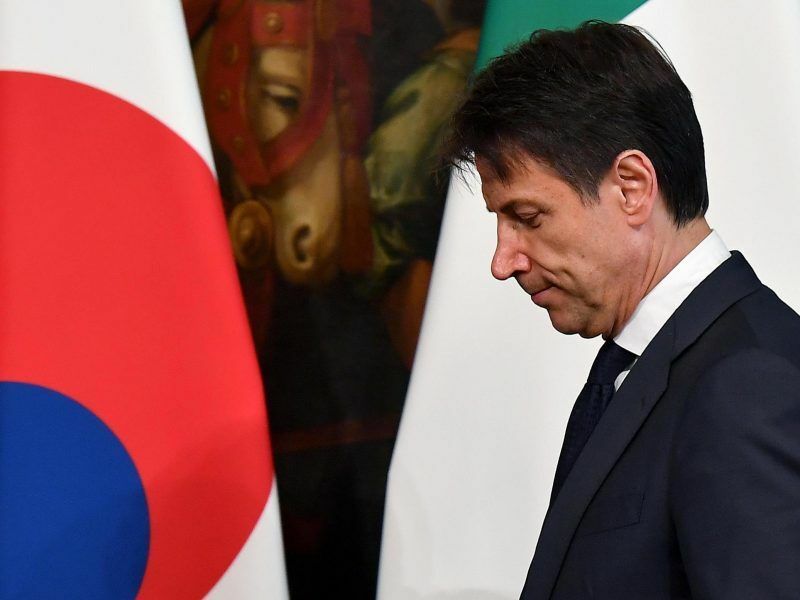 Conte wants “a constructive dialogue” with the EU executive, saying Italy will confront critical observations that may arise “without going to the wall”. Tria also said that the dialogue with the Commission is ongoing, during his meeting with Moscovici. Italy’s PM added that he was not worried by the letter, because other countries like Spain, France and Portugal have received something similar in the past. During the euro-area summit, Conte presented to the other EU leaders in broad terms the 2019 draft budget, but there was no discussion in any detail after. “No one asked me to do that, but it is fair to outline the measures in the European family,” he said in a press conference. Before the summit, Dutch Prime Minister Mark Rutte, who is leading the harder line front against Italy’s overspending, said that he was going to bring the issue to the Council table. Conte said that other leaders listened to him very carefully and that his announcement of “the biggest package of reforms ever launched in Italy” went down well. That package includes a revision of procurement rules and civil codes meant to cut red tape, but also the digitisation of the public sector, which will also involve a specific taskforce to enforce this digital plan. The budget law was expected to generate about €36 billion already approved over the next 15 years, with a further investment plan amounting to €15 billion over the next three years. He claimed that these financial measures are sustainable even in the mid-term, expecting a decrease in Italy’s huge debt to 126.7% of GDP in 2021, when the deficit is also supposed to return to 1.8% of GDP. The review of 2011’s “Fornero” pension reform is expected to have a positive impact on the country’s productivity, thanks to a generational turnover that would allow easier access to the job market for young people. Italy has stubbornly high levels of youth unemployment, which amounts to 34.7% for under 25-year-olds. Conte focused his arguments on growth and investments, moving away from Deputy Prime Minister Luigi Di Maio’s internal narrative that describes it as the “people’s budget plan” as a way to abolish poverty. On the sidelines of the European Council meeting, Conte had bilateral meetings with three EU leaders: Germany’s Angela Merkel, Rutte and French President Emmanuel Macron. He said that Merkel paid attention to his explanation and that she was impressed by the structural measures that Italy presented. In her press conference after the Council meeting, Merkel said that Italy’s efforts to combat corruption and create transparent digital infrastructures was a positive step. “That’s good and encouraging,” the chancellor said. According to Conte’s spokesperson, Merkel said that it is desirable to fuel a climate of mutual trust. Conte described his meeting with Rutte as open and cordial but he warned him not to use pre-judgments on the draft budget law. Rutte expressed his “full support” to the Commission in applying the obligations of the Stability Pact. Other leaders as well criticised the Italian proposal and supported the Commission in the application of the rules. “We do not understand at all the Italian budgetary proposal,” said Austrian Prime Minister, Sebastian Kurz, whose country is chairing the EU’s rotating presidency. “We don’t want to add flexibility to already existing flexibility,” said President of the European Commission Jean-Claude Juncker. He said that Italy was allowed to spend €30 billion more than it could in the past, without incurring any sanction. “We’ve always been kind, gentle and positive when it comes to Italy. 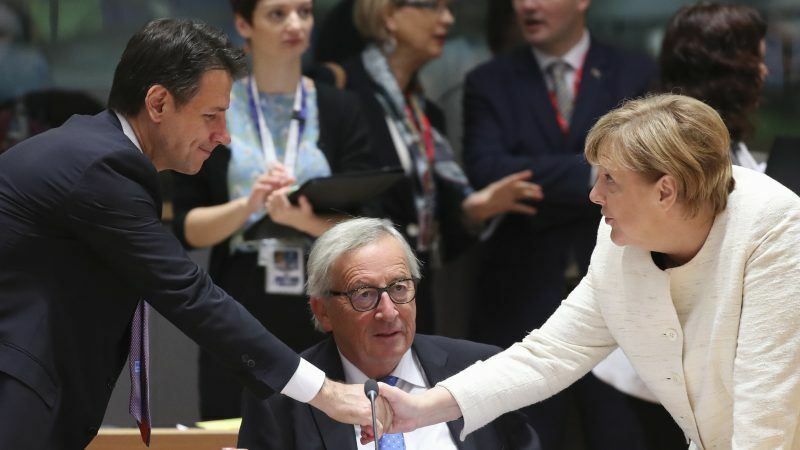 Because Italy is Italy,” Juncker said, adding that the Commission has always been accused by other governments of being too generous with Italy.